International non-profit Save the Children has selected Israel-based non-invasive patient-monitoring systems company EarlySense Ltd.for a pilot program funded by the Bill & Melinda Gates Foundation, EarlySense announced Tuesday. The target of the pilot program is to empower clinicians in Africa to improve care and save the lives of newborn babies. Founded in 2004, EarlySense develops a patient monitoring system capable of registering parameters such as heart and respiratory rates, motion, and quality of sleep. The company's products are approved in both the U.S. and the European Union. According to the World Health Organization, nearly 1.5 million infants in Africa die before they reach their first month of life. Sub-Saharan Africa has the world’s highest newborn death rate, with its infant deaths accounting for one-third of under-five deaths globally. With EarlySense sensors, nurses and physicians will be able to continuously track key vital signs of newborns, including a newborn’s heart and respiratory rate. The sensors can alert staff ahead of potential adverse events, enabling them to act quickly to improve care and prevent neonatal deaths. The contact-free sensor is placed under the bed mattress and requires no wires or hookups to the neonate. 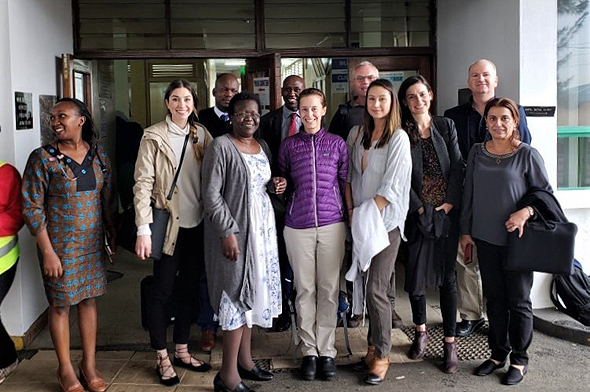 Continuous monitoring sensors will be tested first at Aga Khan University – Nairobi teaching hospital, followed by Pumwani Maternity Hospital in Nairobi, Kenya. EarlySense announced it has completed a $39 million round last month, bringing the total sum raised by EarlySense to $152 million, according to Pitchbook data. EarlySense employs 140 people, 90 of them in Israel.